Ive been playing with the vectorizing, and today it doesn't work anymore, It open but will not let me upload an image. Also I cant change the name of projects. Did something break? Hmmm it works for me. Try refreshing your browser and making sure your internet connection works. Both of those things require an active internet connection. Just tried it here and working just fine with images from URLs and from local disk. Thank Paul Its still not working here, I have tried several students computers, with different users, (im a teacher) and tried it with 3 different internet connections. it might be a server thing, I'm in VIC i get to this screen and it will go no further. 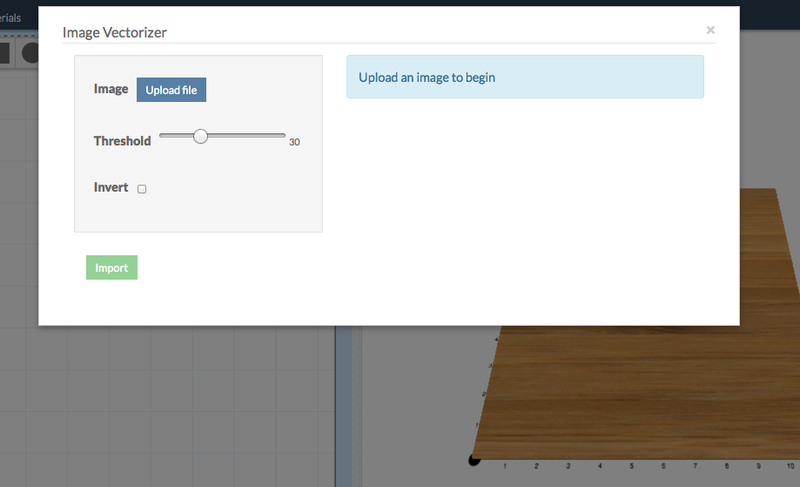 Yah, at my work I can't upload a picture to easel because of the server settings. Oh interesting. Can you tell me more about how you know it is a network problem and what the network settings that are preventing it are? Screenshots of any errors you see, etc, would be helpful. I know lots of schools operate behind firewalls so I don't want this to be a problem. I get an error that says check to see if https://dialog.filepicker.io is correct...and there is no option to change the threshold, the slider does not show up. I spoke to the IT guys and they are pretty sure is not the filters at the school, but the internet service provider. As they supply the internet for all the schools, they filter out all the adult sites and anything else thats not kid friendly, unfortunately their staff can be a bit nuts and filter out all sorts of stuff they shouldn't. Ive put a request to unblock the site. I manged to pull the screen shot off one of the kids computers, but usually the upload button just does nothing. thanks for the help I will see hat happens in the next few days, and see if I can get it fixed. Search for the section on "The certificate is not trusted because the issuer certificate is unknown"
Many schools image their computers so that the exact same version of software is wiped / loaded on a daily basis. 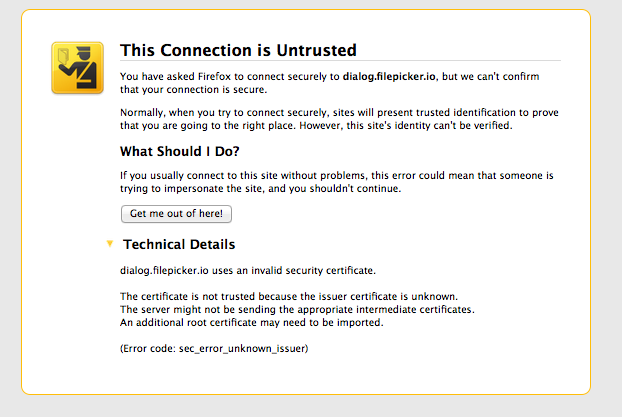 If this is the case, they may have to update their image of the browser because it isn't up-to-date with certificates. Not sure though. Apps aren't in the smiles menu anymore, they are on their own in the "Grid of boxes" icon in the toolbar (next to the smiley). I'm noticing that the upload button isn't working in Chrome on my Mac Book, everything seem fine in Safari as well as my Window's PC's. "[uuid=F47F98EB00394F44] This action has been secured by the developer of this website. Error: The signature has expired" Any advice on that? Hi @MikeJohnson1, when you get that error, you need to refresh your browser and then it will work. The tool that we use to let you upload images has security settings that time out after a while. We have an open ticket in our issue tracking system to fix this, and we will fix it soon. Did anyone ever find a fix for this issue, I am unable to upload an image. When i select the button to pick an image nothing happens. 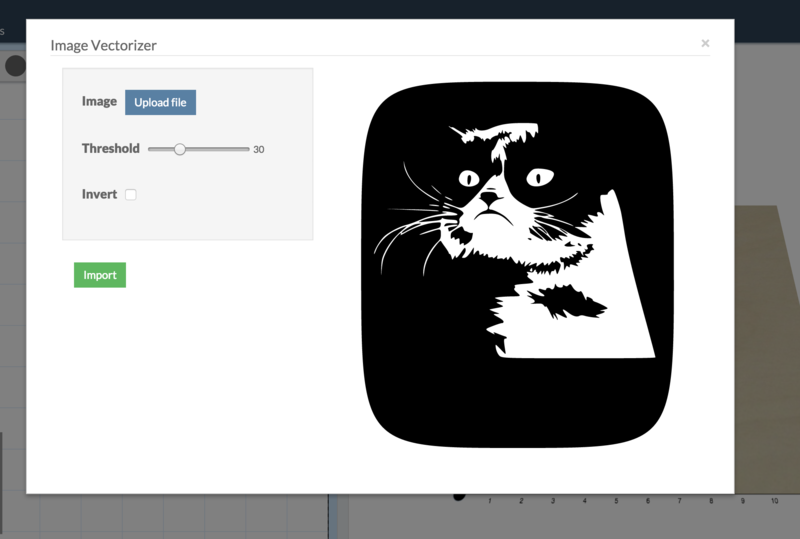 I have been unable to vectorize an image. Is there some setting in my computer that could affect this? Vectorizing failed: NetworkingError: Invalid argument. "Vectorizing failed: network error : invalid argument"